Riazbhai why you show the writings of this lady-writer. She is RAW agent from long time. Pakistan army is worlds best and defend us forever against evil designs inshallah. Kudos. Very nice. Pl send this to Dawn for publication. It would be very difficult for India to do the same thing as PLA because it is a 100% Democratic country. Same thing for USA. However, US MIL contracts everything out to Corporations who make a ton of money from its MIL orders. In turn the Corporations do the dirty work for the Government and MIL outside the Country. Not much different from PLA. So I think, in developed countries, PLA becomes replaced by Corporations. Indian Corporations are still in infancy when it comes to International scene. A few have just recently ( Arcelor Mital) been bold to step into the International waters in a big way. Yes, India has been late in taking the path of the PLA but I think they have been observing China for a long time and will be forced to take the same path( thru its Corporations, just like USA) sooner or later. If they don't, they will miss this golden opportunity for ever. And the void created by India's absence will be filled in by Pakistan. US industrialized in the 19th century, well before the emergence of military-industrial complex. India is trying to industrialize by fits and starts now. China has had a massive industrial revolution after Mao's death, mainly because Deng allowed the PLA to get into civilian industrial development in a big way to produce the funds it needed. Pakistani military is already in civilian businesses and it's easier for it to emulate PLA, if it's given a free rein. You mean the US industrialized in the 20th Century, don't you. In the 19th Century ( 1800-1899) US was not an Industrial Power. The invention of the Automobile ( First Model T Ford did not roll out until 1909) and the WW ll ( Started in 1939) really pushed US to Industrialization. In the 19th Century US was not an Industrial Power at all. Gernmany and GB were generally considered as Industrialized nations in the 19th century. The advent of the automobile era gave boost to US in the Aircraft, Automobile and Farming Equipment ( also due to IC Engine) which eventually lead to huge scale prosperity and development of all kinds of other industries. US industrialization began its rapid progress in mid-nineteenth century with Carnegie, Rockefeller and JP Morgan as the captains of industry. There would have been no Ford and no automobile without the infrastructure put in place in the 19th century. You should read John Steele Gordon's "Business in America" to get into the history of US industrial development. Really? You think that that the military hijacking everything that is of any worth in the whole economy is a good thing? Driven by your pre-conceived bias, I don't think you even read my post. Take a look at how the Chinese army transformed China to an industrial power house. Then comment on it. Thinking that turning my country over to the military-industrial complex is a bias? Then consider me guilty. I am as bigotted as Dwight D. Eisenhower was at the end of his term as POTUS. When Eisenhower spoke of military-industrial complex, the US was not a feudal society. It was already highly industrialized. So it makes no sense to apply it to where Pakistan is today. In fact, you have turned your country to the corrupt feudal elite already in the name of democracy. The ruling feudals have no interest in human development because they see it as a threat to their absolute power over the rural poor in Pakistan. These feudals are in fact slave-holders from whom the slaves need to be emancipated, more like the 1860s in America. On the other hand, industrialist , like America's abolitionist north, be it military or civilian, do have an interest in human development to get the skilled labor they need to make their own profits. Moin, Arcelor Mittal is not an Indian company, it is simply owned by an Indian 'citizen' who has lived abroad for most of his life. Enough for our hyper-nationalistic 'national' media go all ga-ga over him. I think it will be difficult for India to be a globally significant manufacturing base anytime soon. The main bottleneck I think is the lack of a skilled workforce. Infrastructure is of course also a big problem, although the government seems keen to rectify that. I really dont see how a more economically active military will rectify the labor skills problem. Also, there are many more important reasons why the military should not involve itself in such activities. I think neither india nor pakistan can have army based ventures. That could happen in china because of the power equation. in India and now in Pakistan it is a civilian government. So it will be politician turn business man or business man turned politician which will be a success. Military should be doing what it does best-preparing for war or fighting one. I dont see how giving "corporate power" to an organization that has a fighting force,best armed in the country,with signal and human intelligence capability(industrial espionage?anyone?) can function in "fair" free competitive market(Bombing of French Engineers for not paying bribe in Agosta-B sub deal..Ok I know RAW/Mossad did it right?..but for argument sake ;-)).China is huge and ethnically homogeneous(and non-argumentative &obedient people among others) to a large extent..so it will remain stable what ever political setup(dictatorship, democracy, kleptocracy..) as long as they "continuously" give material prosperity to the country.But, that military setup didnt work for North Korea(coz its small and its leaders are relatively stupid,hallucinating etc) and for Pakistan(with a similar military setup like PLA).There is huge corruption in Indian Army circles as well..in case..(Tehelka scam,Arjun Tank sabotage,etc)..So we must adopt systems suitable for our culture,temperament and mental make-up..I think India is doing reasonably well with its fcuked up system except in military bureaucracy(which returns $10 billion to finance ministry coz of red tape annually). The important point is giving so much power to a single entity is absolutely dangerous(eg:Pak army/ISI ;-)). Even a highly righteous idealist like Indira Gandhi was felled by greed for power.You need strong character and impeccable integrity to withstand with dispassion from raw "power". That's what Royalty did in the past.Raise children and train them with character to be a just King/Queen who works untiringly and justly for its people. But, like all things, that system decayed as well..Now what..Democracy?..hopefully this system gets better..or it will die like Royalty..
my cousin (engineer/management) in NDC just told me today that they produce Honey and grafted Olive trees. when i asked him, is that morally right? his reply was, "we have billions and have nothing to do all year long, so why not do some business!!!" if military do business with billions and create a monopolistic and uncompetitive situation how can a public sector can work? pak-military should sell all businesses to public sector and focus on their trainings. I hope your cousin's attitude is an aberration rather than the norm. Of all the institutions in Pakistan, the military is the most stable, capable and powerful institution whose civilian businesses have been run profitably and they pay substantial taxes to Pakistani treasury, while the feudals have run their farms badly and pay njo taxes on their income. The military has also created a industrial base essential for nation's rapid industrialization. In the absence of any real, organized effort to industrialize Pakistan, military should fill the gap just as the Chinese PLA Army did in China. And they should become globally competitive in mass producing civilian goods cheaply for exports, as the Chinese PLA did. In addition to creating millions of civilian jobs, this will also help them generate funds for themselves and lessen their dependence on taxpayers. If Pakistan's military can learn from the Chinese PLA and turn Pak rapidly into an industrialized nation over the next decade, it will be great contribution that can increase human development, jobs and economic growth, thus paving the way for a real democracy, not the feudal one we have now. The difference is that the chinese army is not run with the american money where as the pakistan army is run with american money and they have to loyal to their masters. See how loyal that they have created 3.5 million refugess for 4.5 billin usd of aid. Great Income generation business for pakistan from pak military. Pakistan Army is run by Pakistani taxpayers money. The size of American aid dwarfs when compared with the size of Pakistan's economy...$1.l5b is less than 1% of Pak GDP. The PLA's budget was cut by Deng who then allowed the PLA to pursue profitable ventures and export opportunities to fund itself. Later, when PLA achieved signicant industrial growth targets generating lots of foreign exchange and tax revenues, Deng forced spin-off to private sector. So the PLA contributed far more than it sucked in from taxpayers. Like PLA, Pak Army also operates a range of civilian businesses professionally and profitably that results in significant taxes to the treasury. The next step for Pak Army is to use their cooperation and friendship with PAL's retired officer corp who brought in the capital to run PLA-connected private businesses to contribute more to the nation than they take from the people, as PLA did. This is not as big a leap as you imagine, if Pak govt cuts their military funding and lets them loose to bring in capital and do civilian business with the world. Its really a sorry state of affair if the Pak military-business complex has to bail out Pakistan's economy. The army should only be in the business of fighting internal and external armed aggression. Pakistan army can consider selling off its various businesses to first generation business men/women who are not from feudal backgrounds and thus develop/encourage genuine business ventures among the next generation Pakistani entrepreneurs. I am very concerned with the thought of the military entering the fabric of industrial and commercial sector of Pakistan and indeed getting into a dominant position. As a student of Economics and Finance, I see a lot of inefficiencies and lack of foresight in the military run businesses based on my academic research into the field and experience with military run businesses. They are categorized by a management structure that serves to emulate the rigors of PMA, quell innovation, are marred by a lack of strategic planning and show remarkable rigidity. More so, many of the earlier ones were acquired as a result of government takeovers of Hindu owned manufacturing businesses during the Ayub era, much less "developed" into what they are today by the military. Fauji Fertilizer is touted as a mega venture in full force of competition with the private sector but a little peek at the fundamentals of the company and its management history reveals a shaky business with deteriorating fortunes ahead, being overtaken by Engro and Fatima Group among others. In majority of the other businesses, the military business has systematically attempted to create a monopoly and deter market forces leading to what I would call "lop-sided" development or none at all. Yes I want Pakistan to develop and yes I was the fortunes of this country to improve, but if it has to involve the military attaining a dominant role in commerce and industry, I fear we are treading the wrong path, one wrought with significant problems, not only in terms of inefficient and autocratic businesses but imbalanced power structure. I honestly would bear with the feudals a bit longer in hope for change otherwise, rather than see the military take over. I respect it to the utmost, it stands on the borders of my country and makes sure I and everyone I know here sleeps peacefully without fear, in a free country. But I want it to stay on those borders and let economics dictate commercial activity, not the monopolistic culture the military always fosters. Ideally, the private civilian sector should lead the effort to turn Pakistan into an industrialized nation. But it hasn't happened to any significant degree in the last 60+ years for various reasons, but mainly due to incompetence, inefficiency and corruption of Pak's civilian governments. The China model presents the other alternative...the one led by the Chinese Army that has produced the most rapid industrialization of a nation in the history of the world. And still, even after the spin-off from military, most major industrial infrastructure is still state managed in the world's fastest growing economy. Instead of being ideological about, let's be practical. Let's give those a chance who can produce rapid results for us to help make us the envy of the world. In my humble opinion, Pak military can do that if given a chance. Eventually, after the basic mass manufacturing capabilities and capacity are in place in Pak, I think the private investors would be far more interested in buying and running it than they are now. That's what's happening in China. It;s benefiting the Chinese people and the PLA with the massive FDI coming in to the country. That is my point of contention as well. The Governments (both military and civilian) have done a poor job of creating an industrial and business friendly environment and that is the area that needs to be addressed rather than allow one institution in the country drive forward the country's economy, which I have to say, would be in the same environment of the same corrupt governments you refer to. So if that corruption is the problem, what kind of a solution can military led business offer when the core issue is still there? Wont they perform the same under the government policies as the civilian sector? Yes, China has seen the most massive growth in the history of the planet, but that is all I agree to in your argument. Their growth has been through a myriad of factors including ideological cohesiveness, a revolutionary thought, policy making, sheer size and breadth of resources and many many other factors that may be unique to China. I just can not ascribe that nation's growth simply to its military. That's too simplistic and tunnel visioned an argument for me, I have to say respectfully. We are not taking into account the motives behind the military taking up business ventures. They result in monopolies, rigidity, lack of innovation and change and survive through their own model of restrictive growth which is not at all good for industry and commerce in today's fast growing environment. If the military model takes hold, we will not have growth but a form of passive stagnation that borders on the inefficient and indeed I'm even concerned about the thought of the military ever wanting to hand things over to the civilian sector at any later stage. History has too many precedents for me to believe that sir. Yes, Pakistan's industrial sector needs development. Yes, we have not managed it to the extent we need to. Yes China's military may have had an impact on its development. But I simply can not ascribe it simply to that. While most industries there are nationalized, it is the privatization that has led to development. Before that, China possessed industry and manufacturing as well but once Mao visited the Japanese, he marveled at their technology which was decades ahead of them and that is why Deng Xiaopeng opened up the economy, allowing economically liberalist policies to take partial hold. That is what we need. A hit at better policy making and environment, not military led business. Its too dangerous in too many forms and too potentially stagnating to be the cure for Pakistan's ills. Again I say all that with complete respect for my military and the irreplaceable function it serves. Military businesses in Pakistan - are the result of honest intentions and visionary policies - to raise independent resources, to self-finance the on-going national technological development, to modernize strategic assets, and most importantly, the determination to rely less on Foreign Aid. While at the same time, build facilities for retired military personnel and their families; and slowly withdrawing from National Defense budget allocation as a percentage of GDP. MILBUS also exists in well developed countries like the USA, UK, France, China, Israel or even Turkey. The Milbus or the PMEs (Private Military Enterprises) are generally known as the Private Military Industry. Famous US PMEs include Halliburton, Black-water worldwide, Defensecurity, Titan Corporations, Kellogg Brown & Root, Air Scan, DynCorp’s, CACI International, etc. Famous UK PMEs include Black-Op’s and Aegis Defense Services. Most of these are active beneficiaries of the Iraq War. The worldwide PME industry is now worth over $100 billion a year. Thus, this is not just a Pakistan specific industry. The National Logistics Cell (NLC) – the largest transportation company in Pakistan and in Asia with a fleet of 16,89 vehicles (in 2005); 7,279 people worked out of which 2,549 were uniformed. The net worth of NLC in 2000-2001 was (US$ 68.356 million) it’s estimated to be around US$200+ million in 2009. Fauji Fertilizers Bin Qasim Ltd.
Fauji Oil Terminal & Distribution Company Ltd. The Pakistan Air Force opened it’s own welfare foundation in 1977 under the Charitable Endowment Act 1890 with the money of Rs.5 million (US $86,000). Started operations in 1982 with Rs.3 million and controlled by armed forces. I respectfully have to challenge your claims with regards to the intentions of the military businesses. Private military enterprises are not established for the betterment of the country, they are established purely for self interest, and more appropriately profit. This is idealistic talk that finds no ground in practical reality when one sees the practices of these military businesses. To quote one of your sentences, military businesses help in "slowly withdrawing from National Defense budget allocation as a percentage of GDP." This will never happen. Whatever money is made is purely for profit generation, to be provided to the shareholders, catering specifically to army personnel interests, as opposed to a civilian business sector which caters to all, regardless of status. I am attaching below the link for the financial statements of the previous years of the most profitable of these military businesses, the so called shining star of a conglomerate. Please help me identify one iota of contribution made to "modernize strategic assets" and more importantly, "to withdraw from National Defense budget allocation as a percentage of GDP." If anything Mr.Riaz, these businesses may TAKE OUT from the military budget that taxpayers provide to establish their own self interested businesses rather than contribute to it. ...That aside, lets come to MILBUS in other countries. Some of the businesses you name are the most loathed names with regards to their connection with the Iraq War. KBR is a contractor that was outsourced services for soldiers such as laundry and food services and it was able to used its military linkages to win the contract by blocking some other bids via shady means and engaged in rampant over pricing and profiteering well above rationality. For example, charging over 5 times the amount it took to wash a bag of clothes other services offered, charging for a can of coke "manufactured in Iraq" with "arab labels" at the rate it would have taken to import it from the US!!! Please take time out to view the documentary Fahrenheit 9/11. I dont even need to venture into the topic of Blackwater. If you look at the history and the operations of each of the companies you mentioned, you will see they have been the focus of rampant corruption and profiteering, have been inefficient compared to private civilian businesses, have massively distorted market forces to form temporary or permanent monopolies and have engaged in high handed exploitation. The story is no different in Pakistan. Most of the military businesses here exploit market forces, try to create monopolies, fail to bring in innovation for the most part that makes good use of resources and purely seeks to bring economic rents to specific group which is discriminatory and not the job of the military. Many of the ownerships of Askari and Fauji Foundation are not profit making, the gulf being filled by those that are due to artificially created monopolistic conditions, keeping civilian sector at bay, hardly the harbinger for the country's growth and advancement of strategic assets. Fauji Corn failed to compete with Rafhan, Askari Bank's financials have always bordered on the sketchy and many of the areas you witness their presence in cater to niches and gaps where limited number of entities can operate, thereby providing the military businesses shelter from the full brunt of market forces. It should stick to what its good at, defending the country's borders. The world over, there are examples of the private businesses leading the change in their countries, including in China. Privatization and unhampered civilian business under Deng Xiaopeng led to China's advancement, not military enterprises. Yes, they may have limited scope when it comes to augmenting some specific military functionalities but that is as far as I am willing to take it. The solution lies in reform and policy making that supports businesses, simultaneously taking a top down developmental approach, not handing the country's resources to ex-military allowing them to run amok with them. Jibran: "Private military enterprises are not established for the betterment of the country, they are established purely for self interest, and more appropriately profit." Self-interest of the military is not necessarily a bad thing, if it also helps others in society as well. The money invested by military in industrial sector is much better than the billions our political elite send overseas to secret Western bank accounts that create no jobs, no income and no revenue in Pakistani economy. If the Pak Army can do for Pakistan what Chinese People's Liberation Army did for China, I say more power to them. Industrial and economic growth that mil bus brings to Pakistan can benefit a lot more Pakistanis than the money repatriate abroad by the non-military sectors. I completely agree with your point that self interest is not a bad thing. I mentioned that only to illustrate that milbus is not "the result of honest intentions and visionary policies - to raise independent resources, to self-finance the on-going national technological development, to modernize strategic assets, and most importantly, the determination to rely less on Foreign Aid. While at the same time, build facilities for retired military personnel and their families; and slowly withdrawing from National Defense budget allocation as a percentage of GDP." Believing that is creating a smoke screen for one's self. I disagree that the development of China took place due to its army Mr.Riaz. Tonnes of literature exists pointing to economic liberalization mixed with directed policy making leading to China's development. The army rode the wave if anything, it wasn't the harbinger for their success. Sir giving power to the military has its advantages of course, business is created and all but so is the same effect brought about by the civilian sector...and might I add much more efficiently and with a longer term impact. Not all entrepreneurs send their money abroad and those that do (I am not talking about feudal landlords) follow because of threats to their assets from government and policy impacts that do not favor investment. There are many more who actually invest. If they can earn a greater return with less threat investing in Pakistan, will they not do it? Bank holdings earn less interest than actual ventures. These entrepreneurs are rational when it comes to money if nothing else, their decision to send money abroad is not emotional but rational. That is why the solution is policy making that favors investment and provides protection to threatened assets, not espousing one sector that works to the benefit of one clique, completely decimating and policy making infrastructure and society. In a world that is moving towards representation for people, we will be moving to autocracy! Jibran: "I disagree that the development of China took place due to its army Mr.Riaz. Tonnes of literature exists pointing to economic liberalization mixed with directed policy making leading to China's development. The army rode the wave if anything, it wasn't the harbinger for their success." There is no question that economic liberalzation spurred unprecedented growth China. But this was FDI and export led growth that relied on the industrial base that the military put in place well before Deng's liberalization came along. "With the change of leadership after Mao's death in 1976, the new government encouraged the military plants to begin exploring civilian uses for their products and to engage in the broader liberalization of the economy. The most nimble managers were free to exploit new markets for their goods. During the early 1980s, the PLA's share of the national budget declined, spurring it to look to other sources for cash, especially hard currency. The higher organizational levels of the PLA created trading companies like China Xinxing, China Poly and China Songhai to take advantage of the opening of China's economy to the international market, according to British analyst Gary Busch. Busch says the number of military-run businesses exploded during the boom of the late 1980s. The "third line" factories opened branches in the coastal areas, earning increasingly higher profits from the manufacture and export of civilian goods. Even the lowest levels of the PLA set up production units. In fact the PLA had a largely captive audience of Chinese who had never really had the chance to acquire personal goods produced in China before. In addition to their international arms sales, their production of consumer goods for the domestic market soared." Riaz: That's a rather dishonest remark. First of all how about posting a link to Danny Alexander's actual quote. I haven't found anything from a google search. And secondly with regard to - 'failed to use a period of high economic growth to lift tens of millions of people out of poverty' - pray what period of high growth are you referring to? India hit the 8% growth path only in 2003. That's five years of rapid growth(plus one predicted year 09-10). Can one reasonably expect a replication of living standards created by growth in the Chinese economy? China has been growing at 8% since the 80s. And as far as absolute figures are concerned poverty has reduced substantially in the last decade. The 'increase' has been due to a redefinition of poverty standards. Any 'increase' needs to take a similar standard for the 'starting point' as is taken for the 'ending point' of the surveyed period. Vivek: "That's a rather dishonest remark. First of all how about posting a link to Danny Alexander's actual quote. I haven't found anything from a google search." You are mixing up Alexander's remarks with UNICEF report. The local auto industry manufacturers and vendors had paid total revenue of Rs64 billion last year while the industry saved foreign exchange of $500 million during the same period, said a presentation of the Indus Motor Company (IMC) to visiting journalists on Saturday. With total investments of Rs92 billion and 0.4 million job opportunities, the local auto manufacturing industry has contributed substantially in the growth of national economy. Despite some challenges and regulatory issues, the local auto industry has been flourishing and it is one of the important contributors in the country’s gross domestic product (GDP) growth, it added. However, the local auto industry is a victim of government’s anti-industry policies like the import of used cars which are not only hurting the industry but also depriving the government of huge revenues in terms of duties. Besides, the local auto manufacturers are fighting with the misperception that they charge exorbitant prices for vehicles while the quality is also not good. Yet, most of the facts once known would easily make the public to change perception about the industry. The prices of cars have been increased by only 14 percent in last 2 years whereas the price of steel has increased by 16.5 percent, aluminum by 50.5 percent and polypropylene by 127 percent, minimum wage has increased by 75 percent, electricity and gas increased by 51 percent and 43.6 percent respectively during the same period. Besides this, the depreciation of Pakistani rupee also played its role in increasing pressure on the industry, like the US dollar increased by 20 percent, Japanese Yen by 66 percent and Thai Bhatt by 22 percent. Moreover, the duties on completely knocked down units (CKD) in Pakistan are much higher than other regional countries which contribute to high car prices. CKD duty in the country ranges between 32 to 50 percent, while in Thailand it is 30 percent and in India it ranges between 10 to 30 percent. One of the major players of local auto manufacturing industry, IMC, while nullifying the stereotype image of the industry, has contribution of 1.5 percent/year to the national economy growth and maintained its image of quality production with plausible prices. In addition, it has increased its production capacity from 20 units per day in 1993 to 210 units per day in 2011. The company also created huge job opportunities as its number of direct employees increased from 496 in 1993 to 2,180 in 2011. While commenting on IMC’s performance, CEO IMC, Parvez Ghias said that the buyer’s trust on the quality of the company’s products can be gauged by the fact that the company’s unit sales increased from 11,000 in 1993 to 51,000 in 2011. Similarly, its units’ production increased from 2,930 in 1993 to 50,759 in 2011. He said that IMC has been contributing heavily to the localization. It is pertinent to note here that a total of 582 Corolla parts and assemblies are produced locally, while the company’s vendor-base has increased from 21 in 1993 to 60 in 2011 and these vendors are employing over 0.2 million people. He said that on the part of dealership, the company’s 3S dealership increased from 21 in 1993 to 24 in 2002 and 34 in 2011 and of the total 34 3S dealership, 8 are in north region, 16 in central region and 10 in south region. The company’s 3S dealership will increase to 66 till 2016. The People’s Liberation Army is actively arming and developing its soldiers with advanced information warfare capabilities which would represent a “genuine risk” to US military operations in the event of a conflict, a new report has alleged. Contractor Northrop Grumman’s detailed 136-page report (PDF) for the US government on the cyber threat posed by China was released on Thursday. The contractor asserts that the People’s Republic has come to believe that information warfare (IW) and computer network operations (CNO) are a vital part of any military operation and are integrating them with traditional components under a framework known as “information confrontation”. It argues that the Chinese military is constantly evaluating US command and control infrastructure and will therefore likely “target these system with both electronic countermeasures weapons and network attack and exploitation tools” in the event of a conflict. As Chinese capabilities in joint operations and IW strengthen, the ability to employ them effectively as either deterrence tools or true offensive weapons capable of degrading the military capabilities of technologically advanced nations or hold these nations’ critical infrastructure at risk in ways heretofore not possible for China will present US leaders and the leaders of allied nations with a more complex risk calculus when evaluating decisions to intervene in Chinese initiated conflicts such as aggression against Taiwan or other nations in the Western Pacific region. The report also reveals the extent to which China’s military relies on academia and the commercial IT sector to boost R&D efforts; according to the contractor, 50 state universities are receiving grants to help them carry out information security and warfare research. Huawei, ZTE and Datang are also all named in the report as having close collaborative ties with the PLA, with the former named as an “advanced source of technology” for the military. Rather than isolate certain state owned IT firms as exclusively “defense” in orientation, the PLA, often operating through its extensive base of R&D institutes, alternately collaborates with China's civilian IT companies and universities and benefits as a customer of nominally civilian products and R&D. The military benefits because it receives the access to cutting edge research. This work is often carried out by Chinese commercial firms with legitimate foreign partners supplying critical technology and often sharing the cost of the R&D. A secondary benefit to the PLA of this strategy is the ready access to the latest commercial off-the-shelf (COTS) telecommunications technology brought in by China's access to the foreign joint ventures and international commercial markets. The report goes on to warn that joint ventures of the Symantec Huawei type could lead to a risk of intellectual property theft and long-term erosion of competitiveness for Western firms. ------------This is, of course, all territory we’ve visited before, with the US House of Representatives already investigating (PDF) the national security risk posed by the likes of Huawei and ZTE, although the report should get more than a cursory read in Washington, given its author and the amount of detail it goes into. ^^RH: "But this was FDI and export led growth that relied on the industrial base that the military put in place well before Deng's liberalization came along"
Let us assume that our Army (competent, meritocractic, educated middle-class institution) decides to follow the PLA and DEVELOP our INDUSTRIAL BASE (as you say). HOW will they do it when our SAVINGS rate is so abysmally LOW? 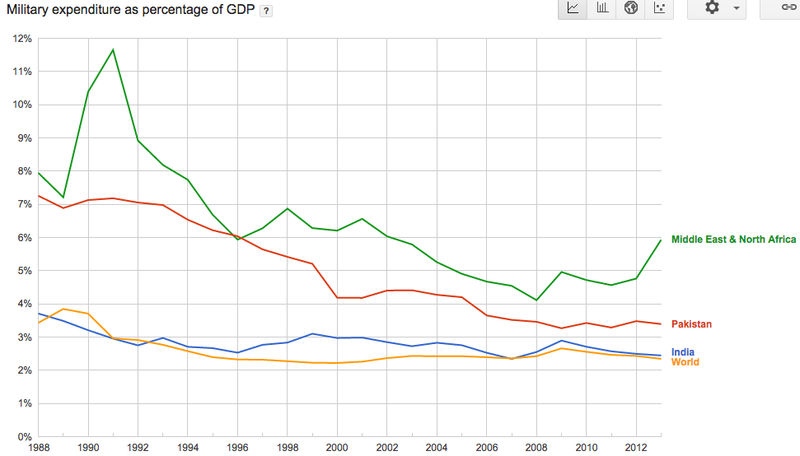 Note that China has always had high savings (30%+ of GDP), even before the Deng reforms. Our savings, even 65 years after independence, is at the same 8-9% of GDP that it was when the British left in 1947. Clearly, we don't have the CAPITAL needed for anyone (army or private or GOP)to build anything remotely close to an "industrial base". Our army may be competent, but even they cannot do the impossible. HWJ: "Clearly, we don't have the CAPITAL needed for anyone (army or private or GOP)to build anything remotely close to an "industrial base"." Much of the capital needed by Chinese PLA companies was raised through "red chips" listed on Hong Kong stock exchange. Comparing our country to China is silly. China is a totalitarian State, with one-party rule. The PLA, the civil bureaucracy, the legislature and the judiciary are all staffed only by Communist Party members. There is no distinction between Party, State & Government. This is not the case in our country. Even allowing for military rule for the majority of our existence, our system is still more similar to India's than it is to China's. What works in India should work in our country as well. What works in China may not easily work in our country. What about India's giant industrial groups associated with Tata, Premji, Ambani, Mittal, Agarwal, Jindal, Adani, Mahindra, Reddys, Rao etc? Were these launched from some industrial base developed by India's Military? If not, who developed their industrial base that has allowed these group companies to grow so large? Is India's Army even allowed to own corporations? If not, how is India managing without Army involvement? HWJ: "If not, who developed their (India's) industrial base that has allowed these group companies to grow so large?" India is not really an industrialized country, especially when compared with China. Ad the credit for the fastest industrialization of any nation in the history of the world goes to the Chinese Army. It's an excellent example for Pakistan to follow. the first automobile was built by Carl Benz and named it after his daughter Mercedes. The second car was built by Gottlieb Daeumler (later called Daimler), both from the Germany's south! They later became Daimler Benz company. Ford only built the first mass model. The armed forces of Pakistan are the world’s largest recipient of $5 million funds the United States annually spends to impart technical education and training to foreign troops under its International Military Education and Training (IMET) programme. Having reimbursed more than $11 billion as war expenditures to Pakistan over the past decade, Islamabad’s non-NATO allies in Washington have also extended over $ 4 billion in civilian aid under the Kerry-Lugar Bill (KLB) over last five years. “The United States provides Pakistan’s military with training to promote regional stability, improve its counterterrorism and defense capabilities and enhance civilian-military relations,” said a fact sheet the US embassy shared on Monday with its local alumni on US Assistance to Pakistan. The 10-page document details a range of areas in which the US has been cooperating with Pakistan to promote its partnership with the latter which, the embassy said, was vital to its shared interest in Pakistan’s economic growth and development, regional stability, and mutually determined measures to counterterrorism. Since fiscal year 2009, the document said, the US had trained nearly 1,120 officials of the Pakistan Army, air force and navy. “Pakistan is the largest recipient of… IMET funding in the world, with an annual budget of approximately $5 million for this program,” the fact sheet added. The US also provides critical equipment, ranging from advanced communications gear to surveillance aircraft, to Pakistani troops conducting counterinsurgency and counterterrorism operations in the border region and to enhance Pakistan’s participation in international maritime security operations. Consequently, Pakistan has significantly increased the effectiveness of its operations against terrorist groups, the embassy said. Unlike its past do-more attitude, the US embassy expressed satisfaction over the steps Pakistan had recently taken to check the production of improvised explosive devices (IEDs) that are said to be used against the ISAF troops in Afghanistan. “Pakistan has taken positive steps over the past year to increase its controls and interdiction of the illicit supply of the materials used to produce IEDs,” the embassy viewed.